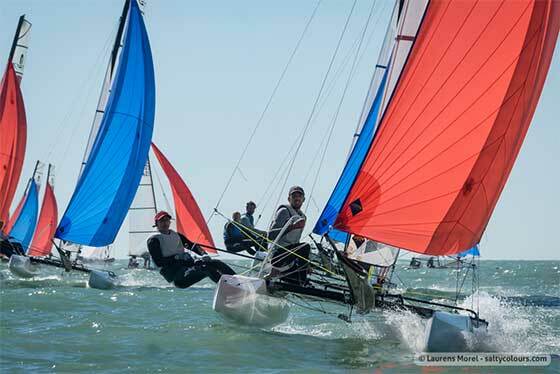 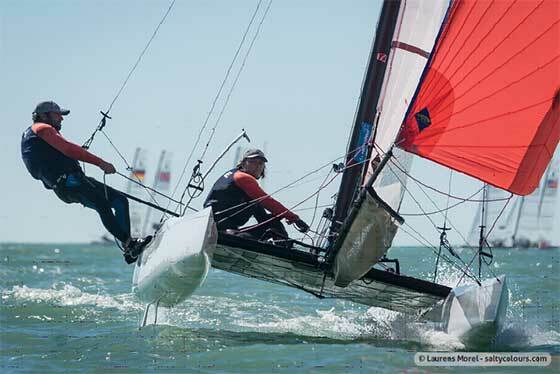 Jason Waterhouse and Lisa Darmanin made the best of a light airs day three at the Nacra 17 Worlds to move to 3rd overall after the young Australians scored 5,4,1. 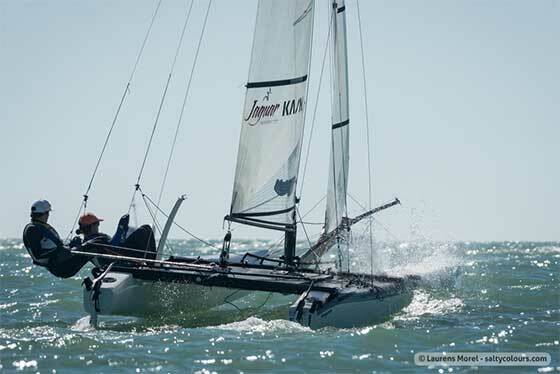 It was a long day on the water, almost six hours, so maintaining concentration was difficult, but absolutely key. 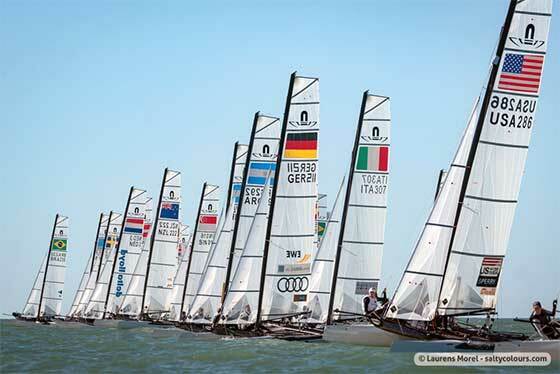 Tomorrow’s breeze looks set for a moderate south-westerly breeze, which should suit the Nacra fleet nicely.